This week, you can save $25 off $100 travel gear purchase at Target.com. 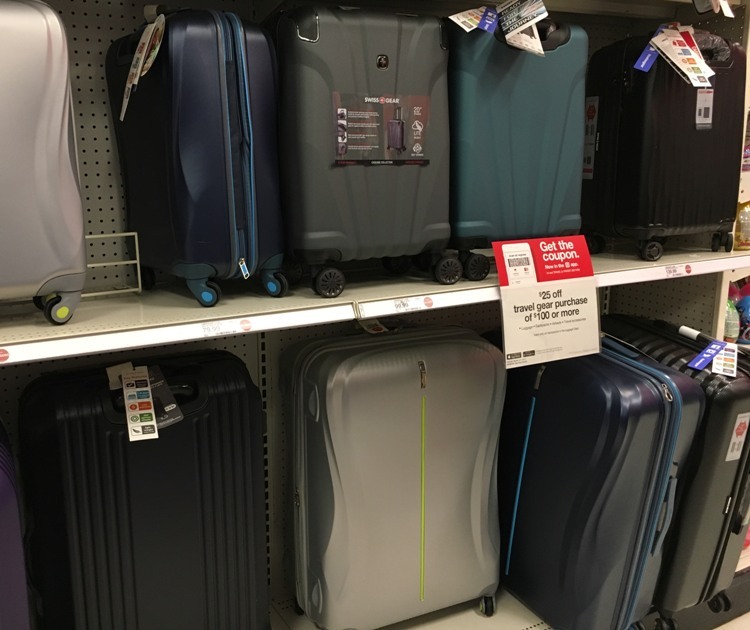 This deal will come in handy if you plan on traveling over the summer and are in need of some new luggage or travel accessories. Your entire purchase will ship for FREE because you’ll meet the $35 minimum threshold. To save in-store, text TRAVEL to 827438 to get this on your mobile device, or you can find this coupon in the Target app (click the “barcode” button to find all the coupons). This is also available inside the Target ad. Coupon is valid through 3/17. Don’t forget to check out Cartwheel for additional savings.